If you have dents on your vehicle in Matthews, and you’ve been dreading taking it into a body shop, an answer could be in sight with a great new service. The process of paintless dent removal can be one of the finest ways that you can save money on your bodywork and get it done in a much timelier manner. Piedmont Dent Repair is a business in Matthews NC that delivers excellence when it comes to dent repair and body work. If an area does not need to be repainted, there’s no reason to drag your vehicle into a body shop and lose it for a few days. With mobile dent removal through Piedmont Dent repair, you have access to services that can be carried out on location. Our staff members have the latest techniques and tools to provide extremely quick dent repair services. We can arrive at your place of work or at your home to provide you with a fast quote on dent repairs. We can then perform paintless dent removals to preserve the finish of your vehicle and its value. This form of dent removal is carried out by skilled technicians and we guarantee our work 100%. 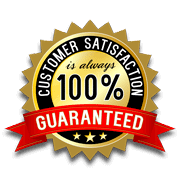 If you happen to be unsatisfied with the job that we complete, we can perform another repair service for you immediately afterwards. Our quotes are extremely competitive for the area and we hope to deliver a quick fix for hail dent removal and more that could be affecting your car. Whether you have a small indentation that was caused in a parking lot or a quick door hit that has been bugging you, we can make the appropriate fix in a timely fashion. As long as the finish for your vehicle remains preserved we can handle the process of dent repair quite easily through the technology we have on hand and through the skilled laborers that we have on staff. Contact our Matthews, NC paintless dent repair experts today for more information.